According to the latest statistics, there are 22,194 students studying in Male'. 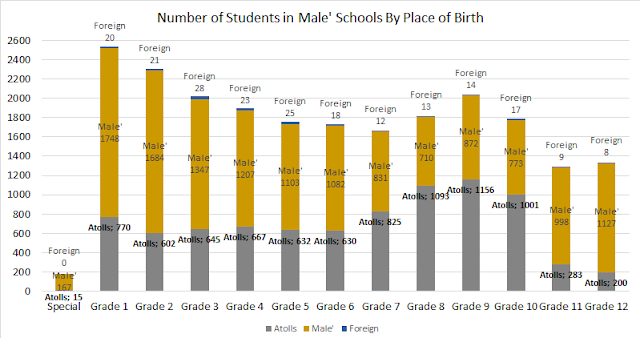 Among them, 8,504 students are non-Male' students and 208 students are foreign students. At Lower Secondary Level (Grade 8, 9 and 10), majority of the students are from Atolls.